We register more than 600 TLDs, are the cheapest domain register. .com $8.99. Right now, The on Sale domains are: .info – $2.99 ; .xyz – $0.99; .work – $2.99, .space – $2.49, .site . – $2.99, .website – $2.99, .fun – $4.99, .pro – $4.99, .mobi – $4.99 , .ws – $4.99, .online – $4.99. We have been the cheapest domain name register. We have 24 on sale domains. For more promotion, please check here. 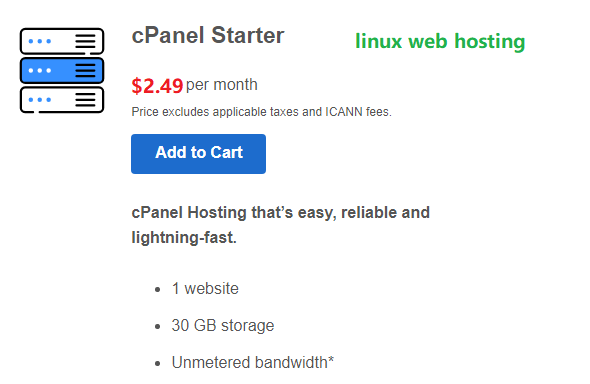 We also have a starter cpanel web hosting plan for beginner website. 1 Website, 30GB Storage, Unlimited Bandwidth only $2.49/mo. You can click Start Cpanel Hosting Plan Starter hosting plan support all cpanel hosting features. We have the cheapest plesk window web hosting plan. It starts begin from $2.49/mo. Support all Plesk window hosting features. We are the cheapest domain name register. You can register your .com domain name at only $8.99/yr here in powerhoster domain. We have been online since 2001, and we are among the oldest domain name register and domain hosting and web hosting providers. At Powerhoster.com – We provide Cheap Domain Registration, and Cheap Domain Hosting Services. We develop, run, maintain and support our Linux and Windows domain hosting plans in our own facilities, 24/7. Our web hosting plans are the cheapest, our management team is one of the most professional teams and our support teams are the most effective. We have all the features you can imagine and need – Cpanel Web Hosting, Plesk Hosting, Managed WordPress Hosting, WordPress, Website Builder, Quick Shopping Cart, SSL, Email, Database and Blogging, just to name a few. No other web hosting service can match the width and depth of our feature set, which is one of the reasons why we are such a prominent player in the industry. We provide the cheapest Cloud Web Hosting, the cheapest Linux Cpanel web hosting, Unlimited Window Plesk hosting and the cheapest Domain Registration service. A good domain register can give you a good domain manager control panel, can provide DNS freely. We can provide you default DNS. The default DNS includes both Park DNS and Hosting DNS, you can also assign your third Party DNS. It is very easy to change. When you set your DNS to our default DNS, you can manage your DNS and set alias, or add an A record very easily to other IP address. You can also make a domain forwarding very easily. You can also transfer to another account of powerhoster; or transfer away from powerhoster account very easily. You can get your authentication by just a link clicking. You can lock your domain, auto-renew your domain or manually renew your domain, and privacy protect your domain or not protecting your domain by just a link clicking. Best of all, you can get all this features by just a cheap domain buying. We can also set your free email accounts if you are registering your domains with us. Managed WordPress hosting is a concierge service where all technical aspects of running WordPress is managed by the host. This includes anit-hacker, keep spammers away, security, speed, WordPress updates, daily backups, website up-time, and scan for virus and malware. Managed WordPress Hosting is to provide all WordPress Based webmasters a complete hassle-free experience, so webmasters can focus on running their business websites and do SEO, contacting their customers, make their website high ranked, socialize their websites in facebook, twitter, and other social media websites, and do what they want to do but worrying about their website security. You’ll recognize domain names as having strings of characters separated by dots (periods). The last word in a domain name represents a top-level domain. These top-level domains are controlled by the IANA in what’s called the Root Zone Database, which we’ll examine more closely later. In general, a domain name represents an Internet Protocol (IP) resource, such as a personal computer used to access the Internet, a server computer hosting a web site, or the web site itself or any other service communicated via the Internet. In 2015, 294 million domain names had been registered. Domain names are used to identify one or more IP addresses. For example, the domain name microsoft.com represents about a dozen IP addresses. Domain names are used in URLs to identify particular Web pages. 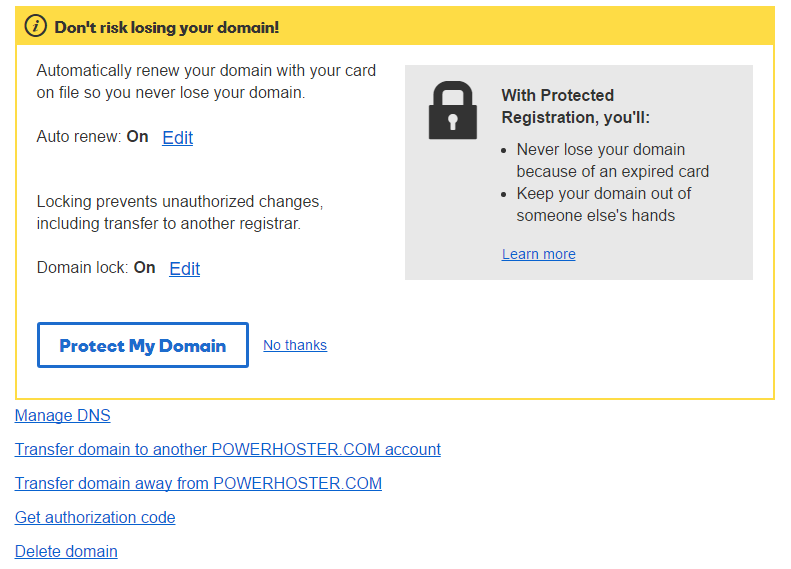 For example, in the URL http://www.powerhoster.com/index.html, the domain name is powerhoster.com. Because all of the names in a given domain need to be unique, there has to be some way to control the list and makes sure no duplicates arise. That’s where registrars come in. A registrar is an authority that can assign domain names directly under one or more top-level domains and register them with InterNIC, a service of ICANN, which enforces uniqueness of domain names across the Internet. Each domain registration becomes part of a central domain registration database known as the whois database. Network Solutions, Inc. (NSI) was one of the first registrars, and today companies like PowerHoster.com offer domain registration in addition to many other Web site and domain management services. Right now, We can register Hundreds of TLDs. We can register popular domain names, international domain names, and regional domain names and country domain names. Domain Names work by linking with a DNS ( Domain Name Servers), The DNS searches for the root DNS and local DNS to find the best way to your domain name. If you want to see how domain name work, please click here. With PowerHoster, you’re guaranteed to find the perfect domain name that will help you bring your business success. A variety of domains are available to be registered quickly and easily, and at the best prices. Millions of satisfied customers and over four million registered domain names speak for themselves! What is cheap domain names ? When you google “Cheap Domain Name” or “What is cheapest domain names ?” in google, you will get more than nine millions results. That is not true. You can not register a .com domain name at less than 10USD in most of domain registers. 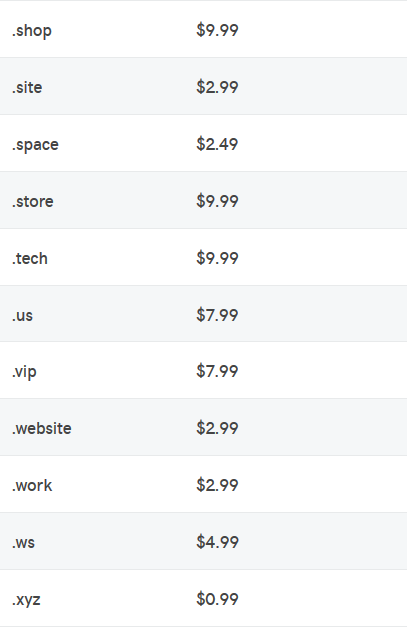 Prices for domain names vary among different registrars and hosting companies. The normal cost is in the range of $12 to $15 per year for the .com domain. Other gTLDs such as .net or .org may be less or more expensive. Specialty dTLDs such as .guru, can run as high as $100 a year. But you can register .com in $8.99 here in powerhoster, a reputable domain register. When a domain register can provide less than 10USD .com domain registration, it should be called cheap domain name register. YES, it is true. We are proudly called “Cheap Domain Register”. Normally you can not buy a .com domain name at less than $10USD in almost all offshore domain register. But they still call themselves cheap domain register. Some US licensed domain registers make a $39.99 .com domain name registration for two years and only charge first year $0.99, its registration fee per year is $20/yr (Shame on them). It cannot be called cheap domain register. We are US licensed and US operated domain register and we can allow you to easily and effectively administer and manage your domain name. We have set up more than 20 years and have well-established reputation. When you have a domain name, you can promote your local business, you can protect your trademark, you can also earn money by selling customer products, and you can even earn money from online domain name and websites. We are especially good at helping our customer earn money online and helping you sell products via online domain names and websites. We have search engine optimization tools to help you get your desired results. We even provide free web hosting if you use our shopping carts features and website builder service. 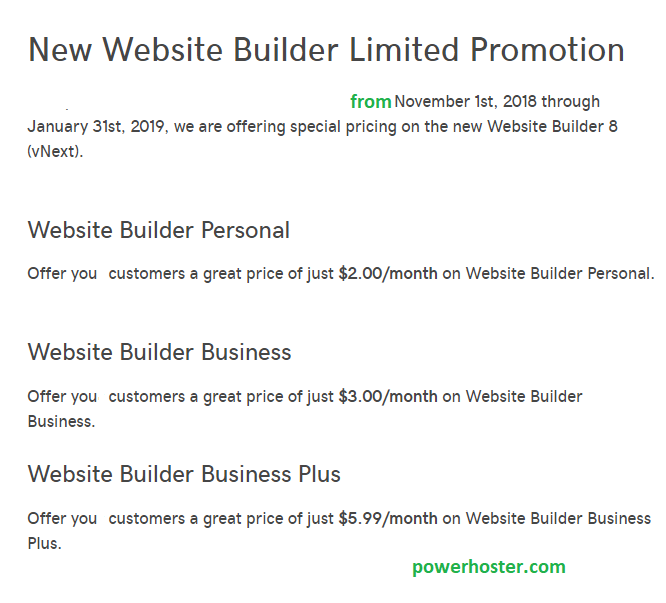 And as a bonus, you can get free domain names when you order one year virtual web hosting, Managed WordPress hosting, website builder and other packages on our plans list. I am powerhoster customer since 2003. I register more than 200 domains with them. I knew they are cheapest domain name register and they have the cheapest SSL certificate and Managed WordPress Hosting. Their Cpanel web hosting is also very cheap. I like their Plesk starter hosting plan. 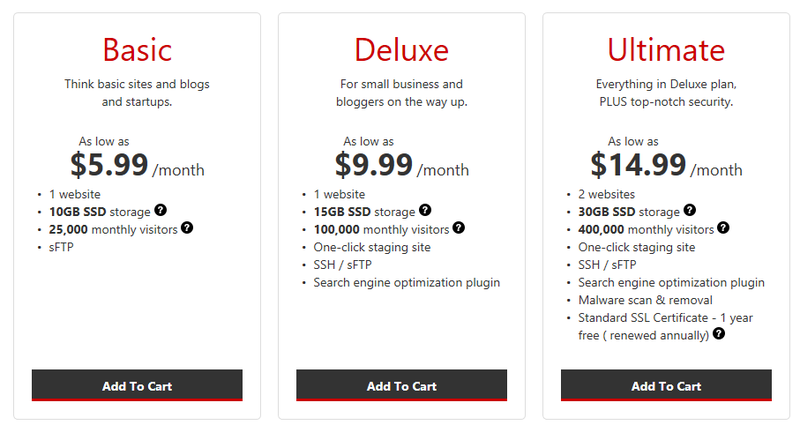 I think their Plesk hosting starter plan is the cheapest. But no worry about their uptime and server quality. Some FPGA embed servers make their servers very reliable and faster. Their support team is very professional and from the No.1 domain register.